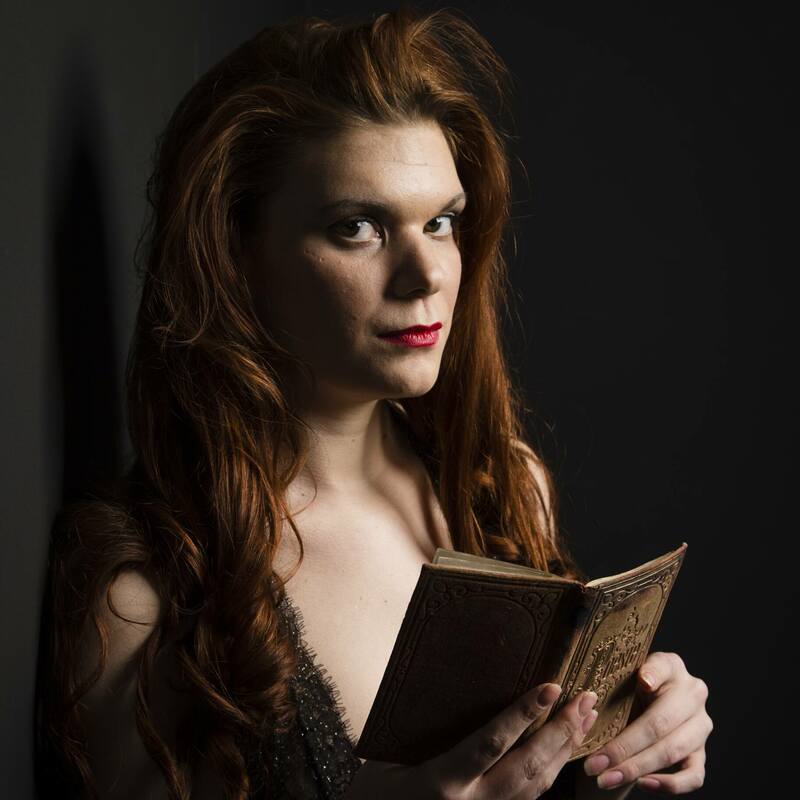 Nastasia Filipovna (Meg Matich) haunts the Poetry Brothel Reykjavik. She is a three-tongued revenant (afturganga), and she is filled with violence. As a child, her guardian locked her in the attic, where she found a mirror that contained—what she believed to be—a spirit. She shattered the mirror with her fist, in the process cutting her own arm. With no hope of aid, she languished, becoming, herself, a ghost. But in her transformation, she was freed from her overbearing guardian and she traveled farther and farther. Far west, she found Hannelore Hafmeyja, who bore a twin-like likeness to Nastasia. The two formed a bond, like fire and water, and built the Poetry Brothel together through Nastasia’s ardent anger and Hannelore’s great empathy and will to make life.